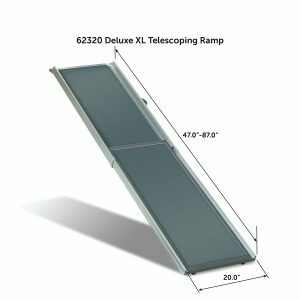 If age is catching up with your pet, or it is suffering from some unfortunate injuries, you don’t have to worry, because with PetSafe Deluxe XL Telescoping Pet Ramp, life is much easier for your best friend. PetSafe as a company is determined to keeping your pet very active by developing a line of products to help pets go places in comfort and style. From ramps, stairs to bicycle trailers, PetSafe is delighted to give you products that make your pets feel better, enjoyable and much safer with you. 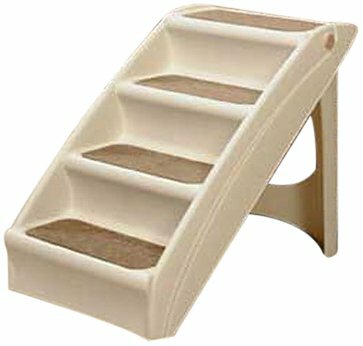 As the market continues to be filled with so many ramps, this is the only recognizable pet ramp brand. This superb acquisition blends longer durability, easy-to-use and trouble-free service. 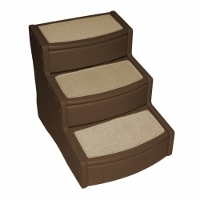 Boasting the best combination in the market in terms of weight, size and strength, this deluxe extra large pet ramp is 20 inches wide, extending all the way to 89 inches long, 18lbs in weight and can support up to 300lb weights. 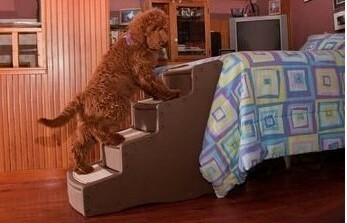 These are the features that give your pet the necessary confidence to scale through the heights. 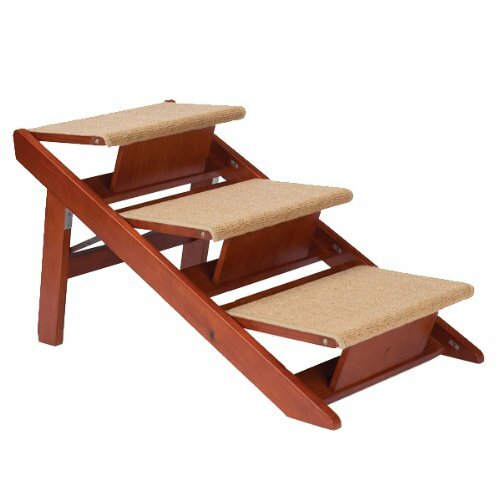 You are sure of giving your pet the sure footing because this ramp also features the extra high-traction walking surface. 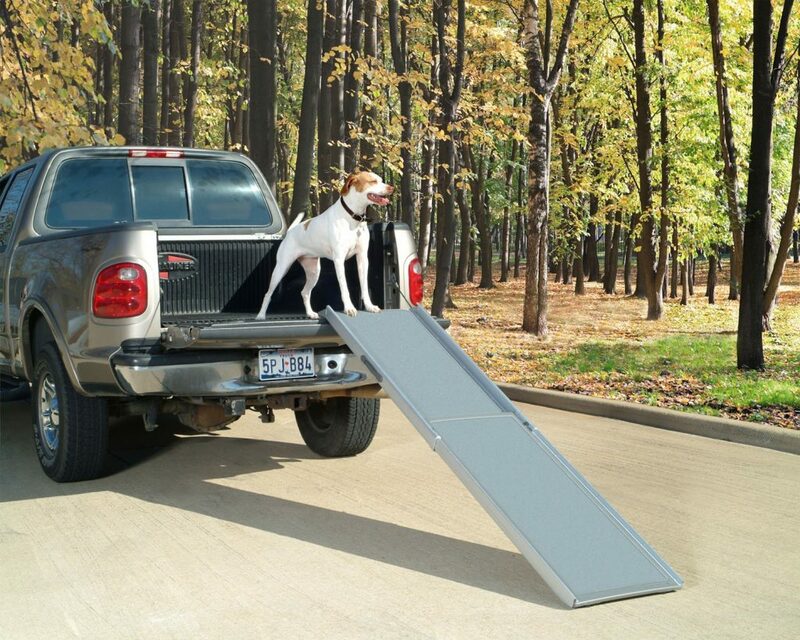 PetSafe ramps are ideal if you want your pet to access your pickup truck from the back, it is our prayer that you give your pet the right training to help it get more familiar with our ramps before using it. It becomes essential that you entice your pet with praises and reassurance during the training sessions. You can start by laying the ramp flat on the ground, placing treats and other familiar items; then gradually moving to incline the ramp in small angles for seamless acquaintance and finally using a vehicle or other higher surfaces in the training. Please take care when using the ramp in a vertical position because it may extend automatically. This is not safe because the safety release strap may not be engaged. 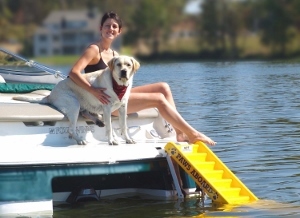 It is always advisable simply set the ramp in an angled position, with the upper end on the surface to which the pet is trying to climb, un-snapping the safety release strap (if engaged), then pulling out the inner slide to the required length and setting it on the ground before use. 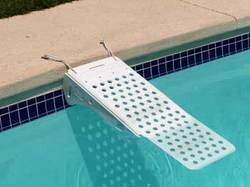 But some users prefer extending the ramp first and then placing it on the upper and lower surfaces; which is still okay. While the telescoping design is what makes the PetSafe ramp so easy to use, if the rubber feet are not firmly in contact with a stable upper and lower surface, the ramp could shift when used, so be very careful. We recommend holding your pet’s collar or guiding them with a leash to prevent accidents when going up and down the ramp, and also commanding the pet to stay inside the vehicle until you deploy the ramp. 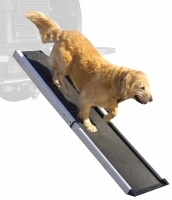 You also have to ensure that the pets stay away from the edges and also walk on the high-traction ramp surface. It is easy to clean and maintain the ramp because it is rails are paraffin wax pre-lubricated aluminum rails, even though some of this wax may flake off after repeated use. A standard house cleaner should properly clean the plastic and aluminum parts of the Pet Ramp, while the tread material can be cleaned using a mild detergent and a stiff brush, or a strong jet of water. 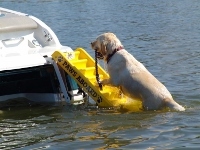 Please note that the is designed for use only by pets such as dogs, cats, and small animals. It is not intended to carry humans or heavy loads. Using the ramp in this way voids the warranty and creates an unsafe situation. Always strictly follow the user guide to the letter and you will receive great value for money. Its fine design ensures that nothing that can rust, even if you use it every day. The ramp is strong, easy to move (as long as it is collapsed) and also maintenance-free. Therefore in case you encounter a problem please contact our Customer Service desk. The extra width makes it much easier to train your pets in using the ramp. 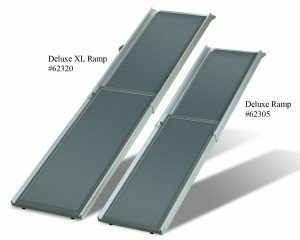 The pet ramp is very sturdy and weather proof; indeed a top quality item for an excellent price. This product works great for any dog that needs help getting into or out of a car or truck. 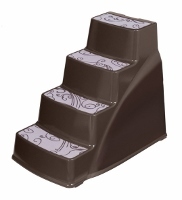 It expands to many different lengths and adapts to your vehicle or stairs. You just have to get used to the way it expands and contracts. With the telescoping feature fully deployed, it allows just the right angle of decent for my dogs to use without having to struggle, especially when ascending. The three end caps sometimes fall off easily when opening the box. The gritty surface allowing for traction can easily tear off as some pets (the dog) claws itself up the ramp. 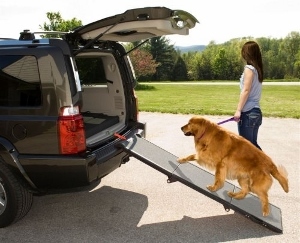 Sometimes the ramp leaves no place in the vehicle to store it as soon as the pet, especially the dog, is on board. It also does not fold up easily for storage. There have been cases where the snap that holds it from extending while carrying it came off easily. Since it is so long, it barely fits sideways in the rear of small cars, only suited for bigger SUV’s or a hatchback and not the best choice for older or physically challenged consumers. 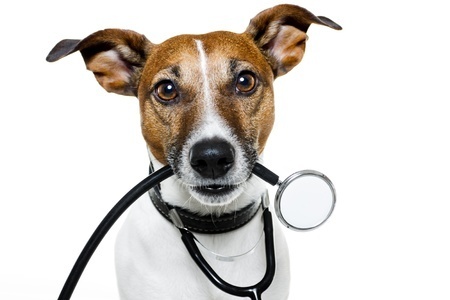 Don’t let the fact that your dog is getting old continue to trouble you. You can purchase the PetSafe Deluxe XL Telescoping Dog Ramp and continue to give your pet the active life and comfort that they have come to enjoy, even if they have lost a little spring in their steps!